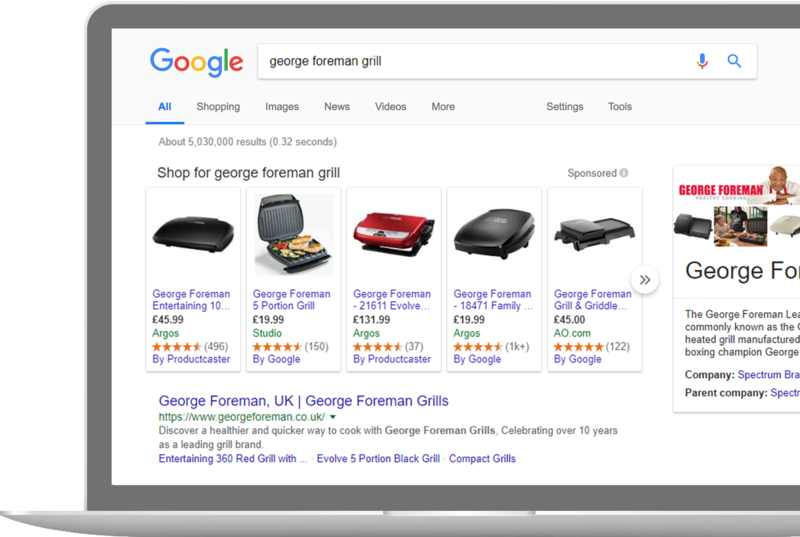 As an official Google Comparison Shopping Partner, Productcaster enables retailers of any size to improve their PLA performance by entering the Google Shopping Ads auction at a more competitive media rate via a Comparison Shopping Service partner. This has the benefit of increasing your impression share for the same cost as you are paying today and improving your ROI. Our specialist Comparison Shopping trained shopping team will support your migration to using Google CSS whilst ensuring no changes to the way that you currently manage your PLA activity. You are fully in control at all times and will continue to manage your campaigns directly from your current Merchant Centre. The only change you’ll see is the link in the Shopping advert. Where it says ‘By Google’ will change to ‘By Productcaster’. Which markets is the Comparison Shopping Service available in? Will this affect the way I manage my shopping campaigns? How will my shopping ads change under the new CSS ad format? There is very little change to your ad. Product name, image, price, brand and ratings will still appear. The only change is the ‘by Google’ link will change to by Productcaster. If a user clicks on this link they will be taken to the Productcaster site to compare products in the same way as clicking on the By Google link. There is no additional cost for the click to or from the Productcaster site.